The Collection All Around is a book I wrote about libraries improving public access to the non-library treasures around us. Reviews: Library Journal and RUSA. Nice reviews in Public Libraries magazine (May-June 2018) and Catholic Library World (v.88, n.1), but not available online. Interview on Circulating Ideas podcast. Excerpt in American Libraries, and American Libraries interview. This blog follows tangents from the book and other libraryland topics that interest me. 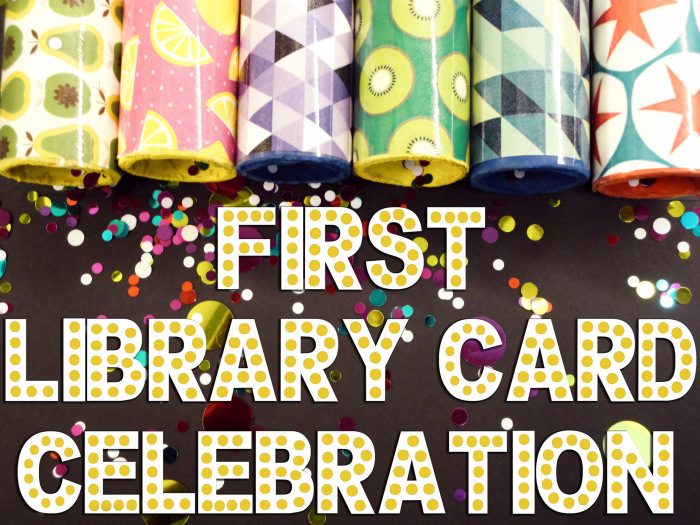 I know a number of libraries have created small rituals around first library cards. I’m flagging this one I saw recently. Great stuff and more like this please. I spoke to Brooklyn PL about their Zipcar partnership for the book. Pleased to see the program has continued and grown since then. An interesting meeting of libraries and local shared mobility, in this case via a commercial partner. "Showcasing the library’s commitment to helping their communities with a range of resources" as they put it. Good write-up too. I wrote about a few transit-library partnerships. Here's a similar one with two university partners. Brigham Young University and Utah Valley University are providing free Provo-Orem transit passes to all of their students and employees — plus their spouses and dependents - for ten years. Combined, free passes will be given to more than 100,000 people annually. Love seeing smart efforts like this to redirect spending on parking into general mobility. Don't know that the university libraries have a role in this project, but have in others. Mobility is an important part of local access and I looked at a number of related library programs -- some that make transit access a part of library membership, some others that work with communities on "Safe Routes" programs. Here's a project in Boise, ID, partnered with Safe Routes there, this year giving refurbished bikes to 320 kids. No library involvement that I'm aware of. But as libraries have looked for ways to support biking, this seems promising. Could also imagine it having a circulating aspect: "take a free kids bike, please return it to the program when you outgrow it". It's a big undertaking, but consistent with librarians' skills organizing partners and working with volunteers. Here's one I missed for the Placemakers chapter. In Red Hook, NY, the library conducted a Libraries Transforming Communities engagement process. The timing of the one stoplight in town was a known issue and irritant but the enagement process identified it a top priority for the community. That it had been in need of fixing for years had further contributed to poor attitudes about the civic process there. The library was able to lend its expertise to help the community and local officials coordinate calls and letter writing to state agencies to get the stoplight fixed. That's the library using its particular skills and status to strengthen community-based placemaking, to improve access to shaping the physical facts of the town. I wrote about libraries and calendars in the chapter on Guides; improving access to our localities through information management. Here's the NYT Book Review curating "a calendar of must-know literary events in 2018, including new books, festivals, film adaptations, and more." It's available as an iCal feed, of course, and can be easily added to your personal calendar app of choice. This is a calendar mode I didn't discuss at all! Curating thematic, sharable calendars ad hoc. Lots of creative things libraries could do with this, and we don't even need to use our own strained event calendars to do so. Could do the whole thing in Google Calendar, and create multiple thematic calendars under one account. The Awesomeville Literary Calendar. The Awesomeville Library Advocacy Calendar. The Awesomeville Know Your Rights Calendar. The Awesomeville Early Learning Calendar. Anyone know of something like this being done already?